Not a whole lot to report on from a fishing point of view up in my part of the world, but I’ve been staying busy with boat restoration, fly tying, Fly-fishing Expos and talks. One of the great things about the expos is that all of us fly-fishing guides get to hang out and talk, something we really don’t get to do during the fishing season. A topic that keeps coming up, is the success or failure of our customers on any given day and the reasons why. What’s the most talked about reason? CASTING! Sure, when you hire a guide, he or she can help you with your casting, but, coming in with a solid foundation is the most important thing you can do for yourself on a guided trip. When you’re out on the water with a guide, the one thing that is on everyone’s mind is fish. The best time and place for casting instruction and practice is off the water, when you don’t have that pesky little distraction of trying to catch fish! All guides have little “cheats” they can use to help make up for poor casting, but at the end of the day, these “cheats” can result in reinforcing bad habits. The solution? Before your trip practice! if practice alone isn’t enough, find a good instructor to give you dedicated casting lessons. After your session? PRACTICE! you wouldn’t take 1 piano lesson, not touch the piano for a month and then expect to remember everything you learned in 1 lesson? Same thing with casting. A small investment before your trip, and a little dedication to practice will pay HUGE dividends one your are on the water! 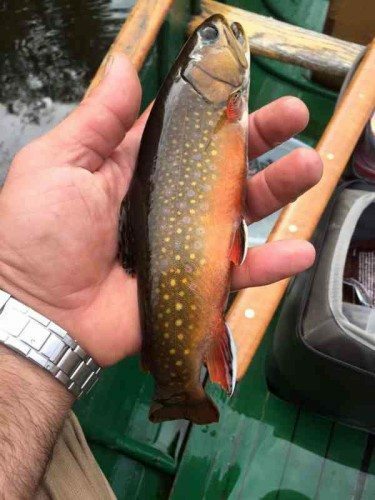 This entry was posted in Uncategorized and tagged brook trout, brown trout, brule, brule river fishing report, Brule river steelhead, fly by night guide service, RIO, sageflyfish, simms, spring ponds, steelhead by Damian Wilmot. Bookmark the permalink.